According to the official Consumer Price Index (CPI), a product that cost a dollar in June 2010 should now cost twelve cents more. 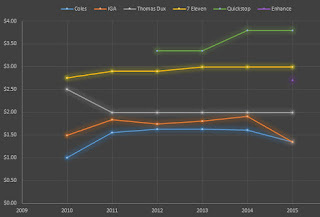 According to Spencer's WPI (Whiskas Price Index), 7 Eleven has roughly tracked inflation in this case, whereas IGA and Thomas Dux have defied it. 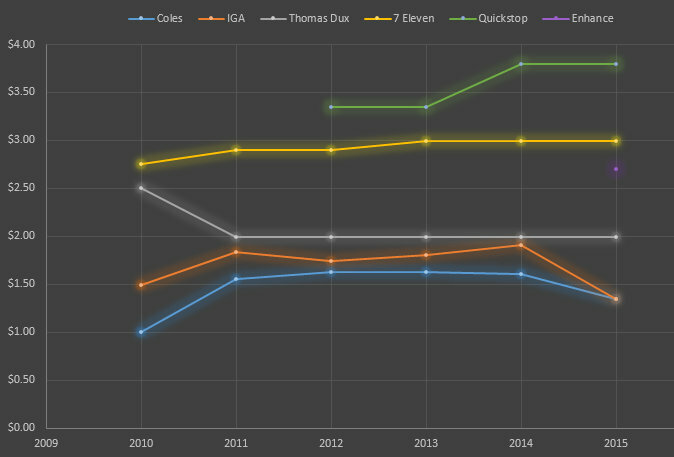 Whilst consistently the cheapest feline supplier, Coles' price has still shown an above inflation increase over the period of my annual data collection.